Aircheck Contributed by Alan N.
Alex Thomas Jirgens liked this on Facebook. That legal ID by the female guest was no legal ID. Susan Waldman was the first voice heard on WFAN on 1050, but not on 660 — that was Don Imus as Billy Sol Hargus. That’s because, for some reason, WFAN decided to keep Don Imus and his morning-drive time show “Imus in the Morning” at 660 AM when the station succeeded eventually-defunct WNBC. 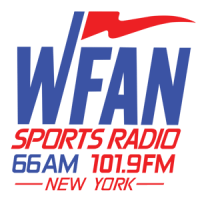 Trivia: WFAN’s 20-after-and- before-the-hour sports updates’ sign-offs beginning with “And that’s what’s happening” is a holdover from the late WNBC–particularly when its news anchors signed off their hourly/half-hourly news reports with that very line, beginning with, at the earliest, its August 1977 format change from Adult Contemporary to Top 40. 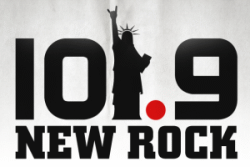 Last Goodbye by Jeff Buckley which is becoming a traditional last song for various rock formats, last song for Classic Rock 94.7 in DC as well for 99.1 WHFS and now new rock 101.9 in New York all might be owned by CBS.